The period of Realistic literature in Slovakia dates back to the years 1870-1918. Its beginning was, in comparison to European Realism, somewhat retarded because of unfavourable after-revolution conditions and the strong influence of Romantic authorities. The first significant appearance of the young Realistic generation of authors (Koloman Banšell, Pavol Országh, Július Botto, Gustáv Dérer, Ján Alexander Fábry, Andrej Halasa, Daniel Laucek etc) at the start of the 1870s (with the almanac Napred, 1871) was still marked by post-Romantic poetic features. 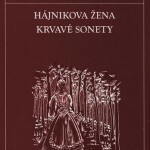 An important role in the establishment of literary criticism and the theory and aesthetics of literary Realism in Slovak literature after 1878 was played by the literary magazine Orol, which offered a platform to a young generation of authors, notably Pavol Országh Hviezdoslav, Svetozár Hurban Vajanský and Jozef Skultéty. 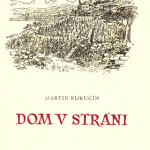 Slovak Realistic literature was internally differentiated. It was represented by the founding generation of Realism (Pavol Országh Hviezdoslav, Martin Kukucín, Svetozár Hurban Vajanský, Teréria Vansová and Elena Maróthy-Soltésová), then by the generation of Late Realism (Jozef Gregor Tajovský, Božena Slancíkova-Timrava, Janko Jesenský and Ladislav Nádasi-Jégé), the intergenerational group of poets (Ondrej Bella/Horal – real name Peter Dobroslav Bella, Kýcerský – real name Pavel Kokes, Somolický – real name Izidor Ziak, Tichomír Milkin – real name Ján Donoval, Ľudmila Podjavorinská, Dlhomír Polský – real name Andrej Majer) and by the ‘Slovak Moderna’ (Ján Botto – pseudonym Ivan Krasko, Janko Jesenský, Jan Halla – pseudonym Ivan Gall, Frantisek Votruba – pseudonym Ivan Klas, Ľudmila Groeblová – pseudonym Ľudmila Osenská, Vladimír Roy, Vladimír Hurban – pseudonym Vladimír Hurban Svetozárov, Martin Rázus, Samuel Cambel – pseudonym Kosorkin, Juraj Slávik – pseudonym Neresnický, Vladimír Konstantín Hurban – pseudonym Vladimír Hurban Vladimírov). In poetry, folk poetry was replaced by the tendency to the poetry of ‘artism’ and to modern lyrical forms. Syllabic verse was replaced by accentual prosody. The most important Realistic author working within Slovak poetry was Pavol Országh Hviezdoslav, who wrote prose and poetry which was full of difficult constructions. Ivan Krasko, together with other authors of the Symbolist generation (Vladimír Roy, Ivan Gall, Janko Jesenský) stressed lyrical self-realisation. Krasko also loosened the strict stanzaic organisation of verse as well as sentence intonation. In addition, he abolished boundaries between poetry and epic. Prose was the most important genre in Realism. It reflected the conflicts of social and individual reactions of man towards his surrounding reality. 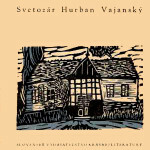 From the authors of the founding generation of Realists, S H Vajanský devoted his attention to the development of the social novel, M Kukučín concentrated on epics in folk surroundings, and T Vansová and E M Soltésová responded in their prose particularly to the needs of the female section of the reading public. Authors of the Late Realistic generation adopted ‘Pessimistic Realism’ (B S Timrava, J G Tajovský and J Jesenský) and a modernistic type of prose (J Jesenský, I Krasko, L Groeblová and S. Cambel). In dramatic literature a kind of folk-national playwriting became popular (Ján Palárik, Samuel Bodický, Pavol Sochán, Jozef Hollý, Ferko Urbánek and J G Tajovský) which fulfilled more education and training tendencies than the aesthetic function. Country people had not yet been prepared for the type of ‘high drama’ (as represented for example by Hviezdoslav’s drama Herodes and Herodias). During this period there also developed popular literature and literature for children and youth. A significant historic event was the publication of the first children’s magazine in Slovakia, Včielka (Little Bee, 1878 -1883).